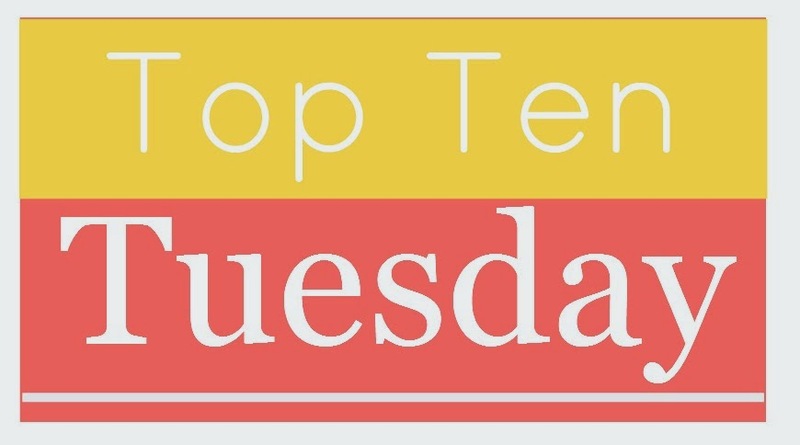 When I saw the topic for this week's Top Ten Tuesday list, I was in the middle of a book my 13-year-old daughter recommended to me—Top Ten Clues You're Clueless by Liz Czukas. The main character is Chloe Novak, an adorkable redhead who gets caught up in a mystery on Christmas Eve at the grocery store where she works. Since I'd just read two other books about women with auburn hair, it got me thinking about other fictional carrot tops. Gingers are rare in the real world, so it's kind of funny to realize how often they turn up in literary ones. I thought it would be a fun subject for this week's list about Top Ten Books Which Feature Characters Who _____ (are musically inclined, have lost someone, have depression, who grow up poor, etc.). One of the funnest things about fill-in-the-blank lists is that they're all different. I love to see the variety of answers everyone comes up with. If you've got a great idea for this week's list, be sure to join in the fun. All you have to do is click on over to The Broke and the Bookish for instructions. It's a good time, I promise! 1. Anne Shirley (Anne of Green Gables series by L.M. Montgomery)—I'm sure Anne (with an e!) is the first literary redhead who pops into most people's minds. Her personality matches her fiery locks—she's passionate, stubborn, and quick to lose her temper. She's also a fun, spunky dreamer who's fiercely devoted to her family and friends. What's not to love about unforgettable Anne? 2. 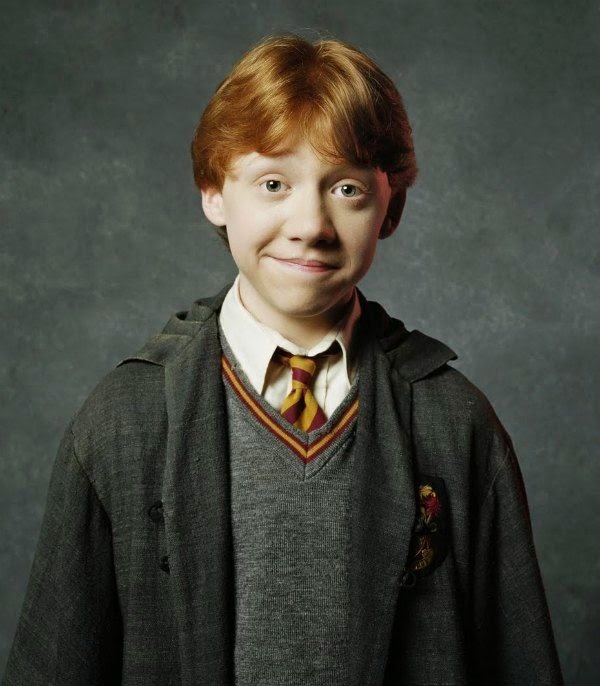 Ron Weasley and family (Harry Potter series by J.K. Rowling)—Loyal Ron is another beloved redhead, as are all the members of his kind, loving family. 3. 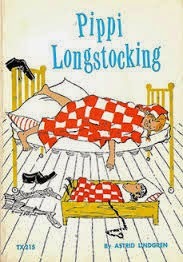 Pippi Longstocking (series by Astrid Lindgren)—I used to love the Pippi books! 4. 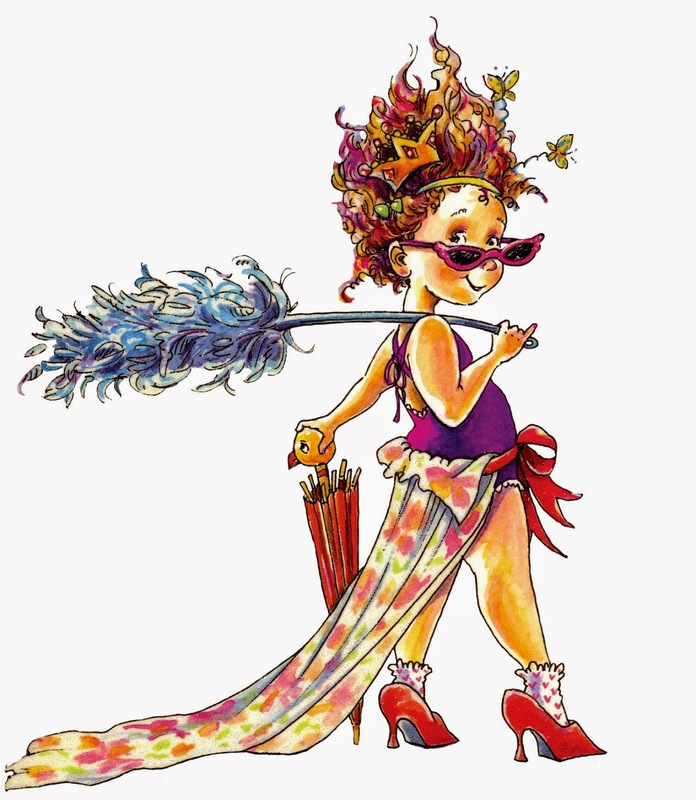 Nancy Clancy (Fancy Nancy series by Jane O'Connor and Robin Preiss Glasser)—Ooh la la, it's hard to ignore this little redhead who's enamored of all things glam. 7. Amber Sterlington (A Heart Revealed by Josi S. Kilpack)—This Regency romance is all about a beautiful socialite dealing with the sudden, inexplicable loss of her thick auburn locks. 8. Jacinda (Firelight series by Sophie Jordan)—In her human form, she's a beautiful redhead. In her true form, she's an even more beautiful dragon. 10. Chloe Novak (Top Ten Clues You're Clueless by Liz Csukas)—Lastly, the one who started it all! Chloe's a fun character. Her story is predictable, but cute. So, what do you think? Did I miss anybody? Who should I add to my list? I couldn't think of ten, after all, so I cheated a little bit, using this fabulous article from The Huffington Post. Also, in my Googling of redheaded heroines, I came across a blog devoted to the subject. Who knew, right? What did you fill in the blank with this week? I'd love to see your list. Leave me a comment and I'll be sure to return the favor. Love this - On my list I had Amy form Amy and Roger's Epic Detour who was a red head. Great list! Ohmygoodness!!! What are the odds? I did "Top Ten Books With Redhead Characters" too! I love your list; there were a few on your list that aren't on mine, so I'm adding them to my tbr list. Here's my TTT. Happy reading! I like your take on the TTT list and the characters you selected. Lots of memorable redheads that I know and love! Fun top ten. I of course think of Anne when I think of red headed characters. Who doesn't? Great list! I love seeing what everyone picked for their topics. So many are very heavy, it's nice to see a lighter, fun choice! Very cool topic, hah! You make a good point about the prevalence of red heads in literature compared to real life. I often don't notice the colour of a character's hair unless it's quite prominently pointed out in the story (Ron, Anne, Pippi and Scarlet, for example). I love your list though. I read about a book (called RED, I think) about a town where being a red head is all the rage and all-important. It sounded kind of fun. You know, you are right - redheads do show up a lot in books. Of course the Weasleys and Fancy Nancy. Love all your list - Pippi!! Very creative, Susan! Was she a redhead? I haven't read a Nancy Drew book in so long, I can't remember ... read TONS of them as a kid, though. Strawberry blond, if I remember correctly... which does make her a redhead. I could be wrong, though. Great topic! There are definitely lots of redheads in books lately but that's because redheads are the best! I love your list! Great choices!! I love Scarlet and the whole Weasley family. Amazing! I love this topic idea! I remember getting so excited whenever someone was a redhead in a book when I was younger. Actually I still do! Anne, Ron and all of the Weasleys, and Pippi Longstocking are my favorite redhead characters. This is a great topic, I love Clary and Firelight sounds like a good read. Thanks for stopping by my blog earlier. Great topic that NEVER would have occurred to me. Wow there are a lot of great red headed characters. I would have to add Eleanor from Eleanor & Park. Excellent list! I have two redheaded daughters, so this really hits home for me. Thanks! Cute list!! I love all the Weasleys!! I would add Madeline :) Thanks for stopping by my list! Love your theme, so interesting! Loving your choices, especially Clary and Scarlett! Happy reading. Nice topic! I was a redhead at school and have the usual teasing from other kids which I found miserable. Now there are cool redheads out there in the book world like the Weasleys, Cat from The Night Huntress series, Sabina Kane...the list is endless! Thanks for visiting my blog! Such a fun list! I love that Fancy Nancy made it on! I loved Eleanor, from Eleanor and Park. But great list! It's funny to me as a writer because a red-headed heroine is supposed to be a frowned-upon cliche--but as a redhead myself (though mine has gotten darker as I've gotten older; I suppose it's just auburn now), I feel like I should have a free pass to write them. :) I still remember being in a high school English class and having my teacher talk about literary tropes and symbols, and how red hair was sign of a strong heroine (he used Willow as his example). I felt so special. What a fun topic! Anne of Green Gables is my favorite, but it's odd how many childhood classics were redheads, now that you've made me think about it. Anne Shirley definitely IS the first one that pops up in the mind, and this holds true even for those who hasn't read the books (as is my case). And the Weasley's come next. I'd only add Rachel Elizabeth Dare from the Percy Jackson and the Olympians series.